Located in the award-winning master-planned community of Nocatee, Del Webb Ponte Vedra is the premier Jacksonville retirement community. This age-restricted, 55+ community offers resort-style amenities and activities, plus an onsite Lifestyle Director, meaning there is always something to do. Come visit our collection of new construction homes designed for active adults and choose between single-family homes or low-maintenance condominiums. Your next adventure awaits. 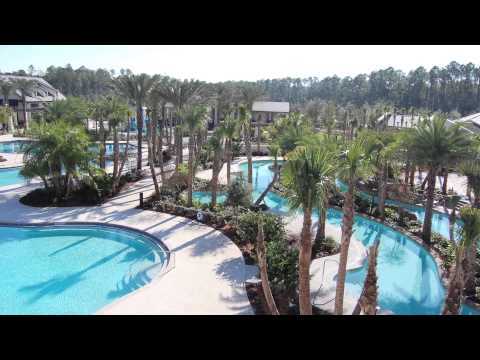 Explore Del Webb Ponte Vedra so you can see the beautiful community and resort-style amenities. We believe you’ll like it here. Enter the first-floor Heron condominium to an open kitchen, café and gathering room – just off the foyer is a flex room or den. Tucked away in the back is the owners suite and covered lanai. Egret carriage home offers elegance in a first-floor design with an open-concept kitchen, café, spacious gathering room and covered lanai. The open-concept second level Spoonbill is ideal for entertaining, includes a welcoming living area featuring a balcony. The second-floor Cormorant condominium entices a welcoming, flexible living space and an amazing balcony for all your entertainment needs.